Transform the way your team works with a next-generation dispute response platform. Experience automated dispute management and real-time resolution. We offer three subscription plans. Each are based on your annual payment processing volume. 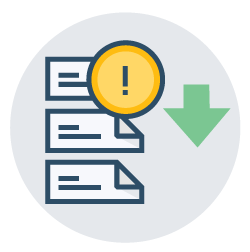 Billing is based on the total transaction authorization records you aggregate in the Chargeback App across all merchant accounts you connect. 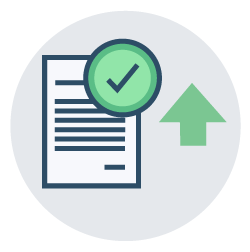 Each approved transaction authorization is counted as one record and is used to measure your processing volume. Choosing a higher minimum annual subscription fee allows you to pay a lower per record fee. For example, if you're on the small plan and have 22,500 transactions in a month, you will be billed an addition $625 for that period ($0.05 * 22,500 - $500). On average, how many unique invoices, bookings or orders do you have per year? Price won't change until you surpass 1,000 records per month. Pay only $0.10 per record after 1,000. At 5,000 records per month change to SMB Plan. Disable integrations and cancel anytime. Billing is monthly. Pay only $0.10 per record. Price won't change until you surpass 120,000 records per year. Pay only $0.05 per record after 120,000. At 600,000 records per year change to SME Plan. Pay only $0.05 per record. Price won't change until you surpass 1.5 million records per year. Pay only $0.02 per record after 1.5 million. At 6 million records per year change to Enterprise Plan. Pay only $0.02 per record. Price won't change until you surpass 12 million records per year. Pay only $0.01 per record after 12 million. Contact our sales team to discuss your volume. Stop disputes before they become chargebacks by providing issuers and cardholders with real-time order, usage, and delivery data. 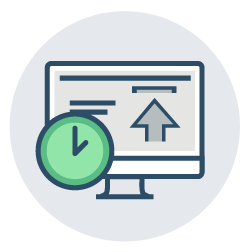 Aggregate the data related to your settled transactions and eliminate copy+paste nightmares and multiple logins. Auto-generate comprehensive response documents that adhere to the network rules for each major card brand without ever researching another reason code again. Auto-send your response documents to your processor and ensure they always make it to the issuing bank in the proper format according to the card brand’s guidelines. Schedule reports with your full set of data. These reports can be scheduled or built and retrieved on-demand. and start crushing your dispute management.